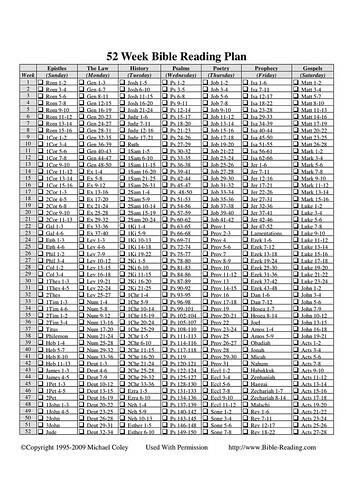 I remember some time ago on [Al Bain’s blog](http://paradoxspeak.blogspot.com/), he posted a link to a Bible reading plan that he had, with the intention of smashing through the book methodically over a year. Now I am not generally a “New Years resolution” type person, but since most of these reading plans start at the beginning of the year, I thought it would be a good thing for Shona & I to embark on. It does always ask the question though. How does one differentiate between building a habit that might be hard at first, but you know is valuable and worthwhile, and being pharisaical in your observance of Bible reading? For mine, I think people in the Christian world that I have observed jump quite quickly to say that anything that you have to work really hard at enforcing (that is, something that you don’t always do with an open, excited, free heart) is somehow like following the Pharisees, robbing an act of it’s joy and value. My view is that most things of any real import take a fair bit of work. Owning a house takes 25 years or more of hard saving, gaining a wife takes months or years of hiding all of your foibles (I joke… no really I do! ), should we expect that building a personal culture that sees one saturated in God’s word is something that should always be attended joyfully? Accepting, as I do, the fact that people tend toward sin just as often as good behaviour, I think it natural that my sinful self might balk at putting the time and effort into reading the Bible, even thought I know how good it makes me feel when I am centred for the day, or I am contemplating healthy things. > We know that the law is spiritual; but I am unspiritual, sold as a slave to sin. 15 I do not understand what I do. For what I want to do I do not do, but what I hate I do. 16 And if I do what I do not want to do, I agree that the law is good. 17 As it is, it is no longer I myself who do it, but it is sin living in me. 18 I know that nothing good lives in me, that is, in my sinful nature. For I have the desire to do what is good, but I cannot carry it out. 19 For what I do is not the good I want to do; no, the evil I do not want to do–this I keep on doing. So we start with our new reading schedule. So far one day down, 364 to go. In other news (well, at least one degree of separation) starting new habits is easier to do when you can start in style. I decided that since we were in bed by 11 something last night, I would start my first night of the year in style. 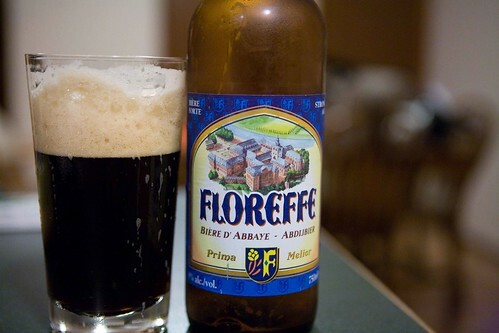 It started with a movie (maybe I will blog about it tomorrow) and it ended with reading my bible (surprise, surprise) and drinking a fine belgian beer! It’s a rare indulgence, but an enjoyable one! I read the whole Bible over two years as I find that it is too hard to catch up four chapters per day if you get a little behind but two chapters are fine. I too struggle with the whole duty/Pharisee issue but feel, in the end, that reading the Bible is always going to be better than not reading it, whatever the motivation. If we wait for right motives we’ll never do anything good. Hi Tim, Happy new year! 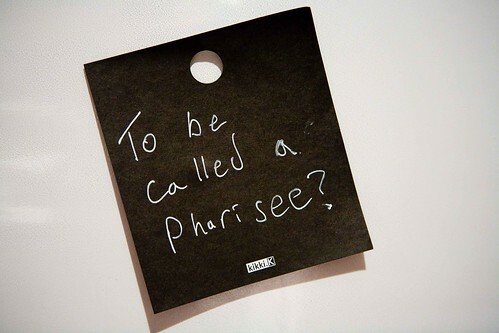 I wonder if the difference between being Pharisaical and doing something out of duty is whether you impose it on others. It’s not Pharisaical to do something good even if your emotions aren’t in it, but it can be if you dictate to others that they should do the same as you. No?